Sonic Wire Sculptor is based on a musical instrument by Amit Pitaru which has been shown in museums and galleries world wide. A great effort has been placed in reworking the app to take advantage of the the iPhone's unique audio and input capabilities. The Sonic Wire Sculptor turns your 3D drawing into sound. It introduces a simple yet deep connection between visual and audio composition. The app is easily graspable and intuitive, allowing someone with no musical or drawing background to lauch it and start exploring. At the same time SWS goes deep and encourages musicians and artists alike to explore new ideas in their craft. This iPhone version was led by Zach Gage with Amit's support. Big props to Zach Lieberman and James Paterson for their seminal help. 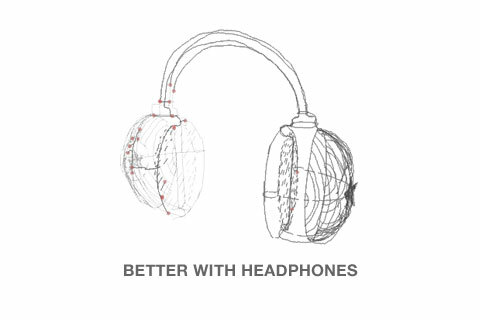 Sonic Wire Sculptor requires headphones, without them you may only hear limited audio, especially on the low (bass) tones.